Shortly after taking the technological helm for the state, Todd announced the initiation of efforts to consolidate the state’s Office of Information Management and Technology with the Information and Communication Services to form a unified and cohesive Office of Enterprise Technology Services (ETS). Priorities for his technology team include IT workforce development; IT governance; enterprise shared services, projects and programs; open government; and cyber security, ensuring that the right systems and processes are in place to facilitate an effective, efficient and transparent government. Todd brings to the task a breadth and depth of experience in application development, vendor selection and management, and infrastructure acquisition, as well as project management, reengineering, enterprise-wide implementation IT strategy and systems planning, and corporate strategy. 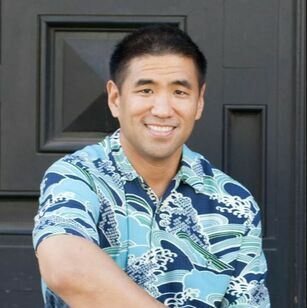 Prior to being appointed as the third CIO for the State of Hawaii, Todd was located in Microsoft’s Hawaii office, where he worked as the senior technical account manager responsible for all premier commercial services. Before Microsoft, Nacapuy worked as a senior infrastructure specialist for EDS, an IT systems and technology company that Hewlett-Packard Co. acquired in 2008. At EDS, Nacapuy monitored and optimized the Web services within the Navy and Marine Corps network in the Pacific Ocean. He also led architecture and establishment of a Navy and Marine Corps network with 65,000 users.